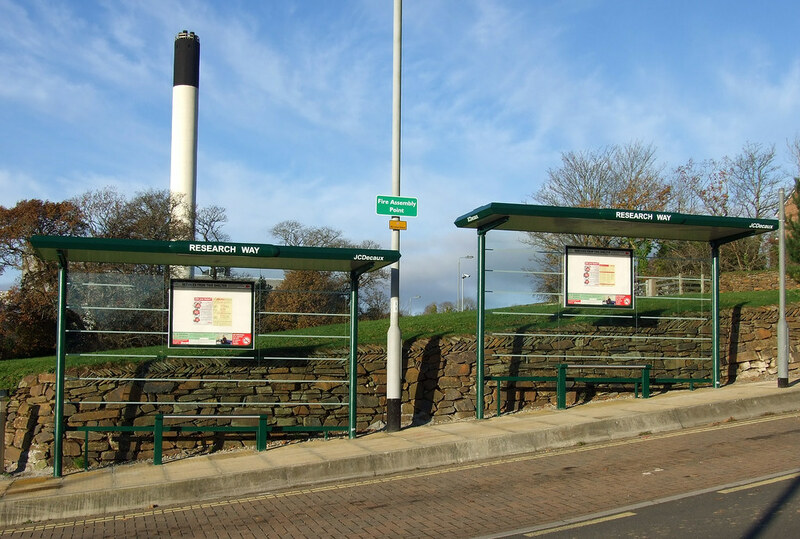 Another photos from Steve Bagley, this time of the new bus stop shelters installed down at the bottom of Research Way in the Tamar Science Park development with the infamous Derriford cigarette in the background. The contract service for the Medical School (just down to the left of this picture) requires a double decker so probably does need the double shelter arrangement even though few other people seem to use this stop. Anything which helps to improve the experience of waiting for buses has to be a good thing.